The world's smartest, greenest building in San Francisco was made possible by collaboration. Read about this "masterpiece of building design” on Green Biz. With public construction statutes, lean IPD is still possible with a few tweaks to a design-build contract. "Lean processes include BIM, pull planning, continuous improvement, Last Planner System, and more. The design-build contract could provide for the parties to use these processes during design and construction of the project." JD Supra has the story. 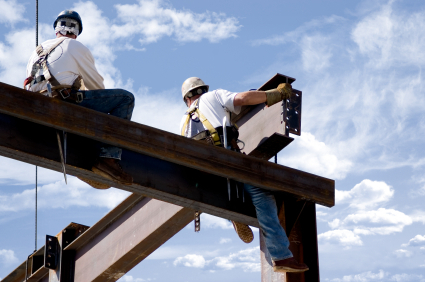 What can structural engineers expect for the rest of 2012? "The majority (53.4 percent) of firms feel that 2012 is going to be a year of good performance, meeting their goals and expectations. Only 4.3 percent of firms report they expect poor performance for this year." Read the rest on Structural Engineer. At AISC’s booth at the AIA Conference this week, attendees were able to learn about curved steel design innovations. Read more about this opportunity from Modern Steel. Design Data partner Bluebeam brings real-time project tracking to the field. Read the case study here.